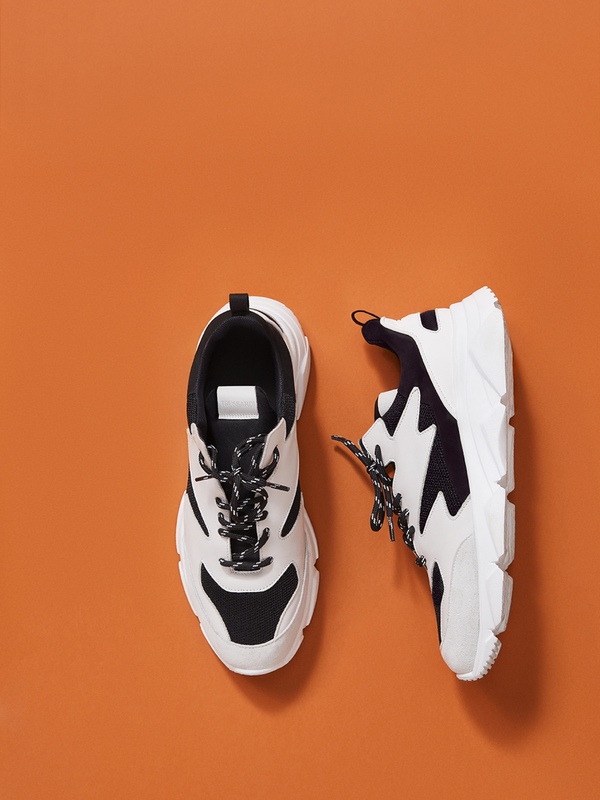 The Trussardi Men’s Shoes from the SS19 Collection are in step with the contemporary, new classic feel of the season, designed for the man who never goes overboard, yet is always cosmopolitan and dynamic. Fine leathers can be seen on Loafers, Boots and Lace-up Shoes, while the Running Shoes come with high-tech sportswear materials that guarantee extreme lightness. Whether we are talking about Loafers, Sneakers or Sandals, the Trussardi Jeans Men’s Shoes from the new SS19 Collection turn high-tech, with rubber soles mixed with fine materials and contemporary denim. Running shoes and Slip-ons are covered in bright colours to brighten up even more formal outfits.